Every few months, Common Room hosts Songwriter Nights in different living rooms around the Fraser Valley. These nights are meant to bring together musicians of any genre who want to share new music they are working on. A Songwriter Night begins with an hour of connecting and catching up. We then have a music sharing program during which 10 artists can share 2 songs. We pick the names of the performers out of a hat. Not every artist will have a chance to share, but we can guarantee that everyone leaves inspired. These nights are meant to generate inspiration, collaboration, and new friendships and support systems. If because of a Songwriter Night a band is formed, a song is finished, or someone who hasn’t played in a long time starts writing again, we have met our goal. 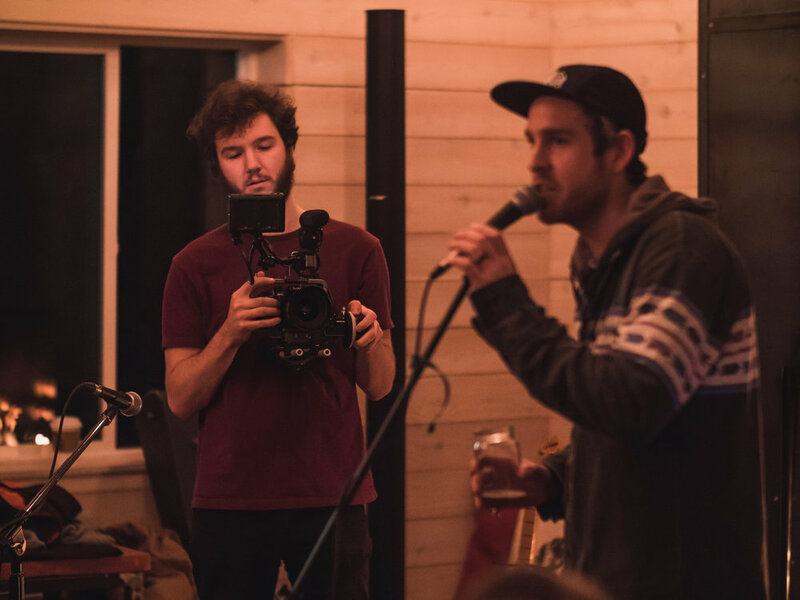 We encourage anyone involved with music, including photographers, videographers, recording engineers, visual artists, and other related creatives or technicians to attend Songwriter Nights. We love facilitating relationships between people from all corners of the Fraser Valley music scene.